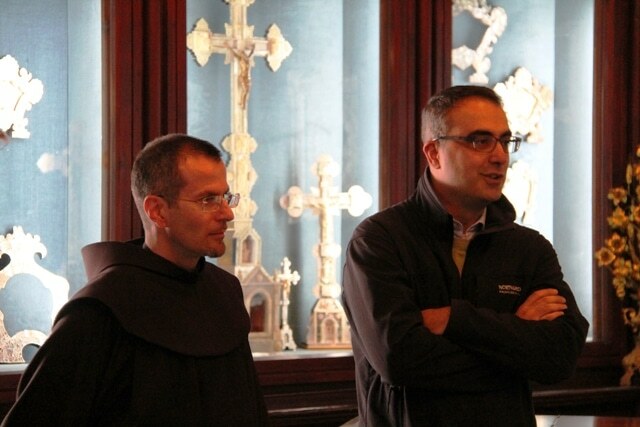 home / Multimedia / The Holy Land in news / The Franciscans of the Holy Land and their benefactors. An ..
Father Sergio Galdi, Secretary of the Holy Land and of the Association pro Terra Sancta, during a recent visit to our offices, spoke of the commitment of the Franciscan friars to their benefactors, that is, those who have chosen to support the work of the Franciscans in the lands that witnessed the birth of Christianity. Father Sergio, in what manner does the Custody commemorate its benefactors? By statute each priest of the Custody of the Holy Land celebrates four Masses per month for supporters of the Holy Land. In addition, every Friday, at the end of the of Way of the Cross, during the intercessions, those who have chosen to provide economic support to the works of the Franciscan friars are remembered. The Good Friday collection traditionally is used to aid the Franciscans of the Holy Land. But what is the importance for the Custody of additional donations? The Good Friday collection, that is, the collection of offerings in parishes throughout the world on the Friday on which the Passion of Jesus is celebrated, is very important. But it actually covers only a little more than half of the annual needs of the Custody. This is why the donations directly from private donors that we receive throughout the entire year are vital, as they allow us to cover the innumerable necessities that we would not otherwise be able to satisfy. Why is it important to aid the Franciscans of the Holy Land? Since the beginning we have supported the poorest and those most disadvantaged, in addition to creating bridges for dialogue and peace in the Middle East. In our music school, for example, Christians, Jews and Muslims sing alongside each other: one of the very rare cases of multiculturality in this Land. Another extraordinary example is the redevelopment project in Bethany, which aims to promote a peaceful coexistence among the different communities in a difficult area that is frequently the subject of tensions. For a number of years Association pro Terra Sancta has been aiding you in your mission. What is the concrete support that is being provided? 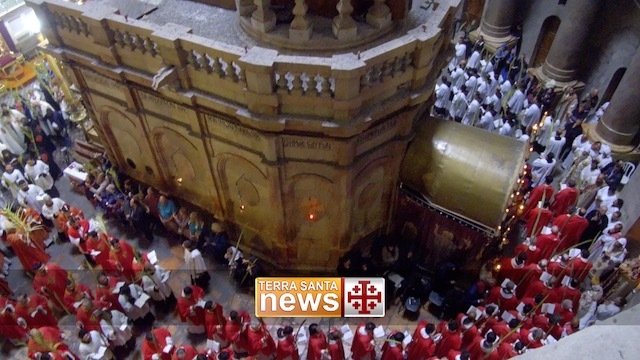 Association pro Terra Sancta is fundamental for the Custody and for all of the projects that we are not able to carry out directly ourselves. In the emergency in Syria it is providing us a very much needed support. More generally, it should also be noted that – in view of the decline of the religious vocation in recent years – the support of lay people is clearly becoming of ever greater importance for us. This also applies for fundraising, an area in which we religious definitely require assistance and where Association pro Terra Sancta is providing a very professional level of support. What is the importance for the world today of the Holy Land? The Katholikon, inside the Church of the Holy Sepulchre in Jerusalem, was considered by medieval theology to be the center of the world. The Holy City itself is the heart of the three great monotheistic religions. We can say that the Holy Land still preserves today this mission of universality, where everything begins and where everything comes together.